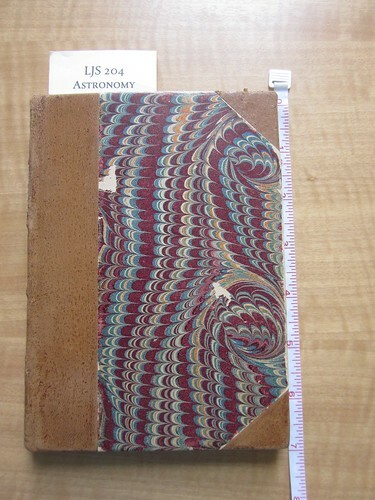 Since the summer, the University of Pennsylvania library has been taking samples of many of its manuscripts to send to the University of York for collagen analysis. By analyzing the collagen in the samples, the team at York can determine what type of animal the parchment is from (typically goat, sheep, or cow, less commonly however other animals, even rabbit). Over the summer, we published a series of videos inviting people to guess what animals our manuscripts were made from. In the brief video below Kevin Lee, Rare Book Cataloging Assistant, demonstrates for Dot Porter, Curator for Digital Research Services, the process for taking non-invasive samples from the parchment. Unfortunately, the University of York has not received continued funding for this project, so the University of Pennsylvania will not be sending more samples at this time. However, we do look forward to the analysis of those samples we have already sent. We will share the findings here as soon as we have them! 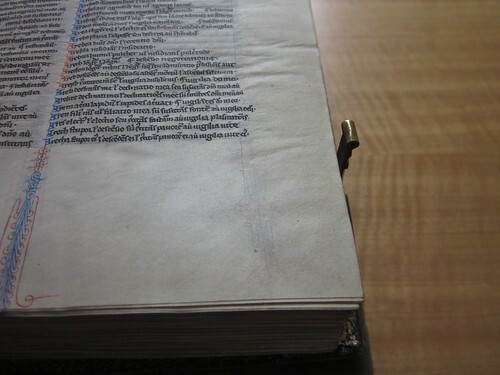 Categories: Parchment, Penn Parchment Project, Uncategorized | Permalink. 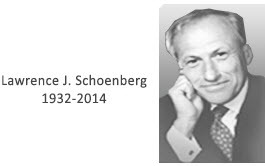 On September 11, 2013, the Schoenberg Institute for Manuscript Studies welcomed Stephen Meyer from Pergamena parchment makers (http://www.pergamena.net/). The Meyer family has been making leather and parchment since the sixteenth century. Stephen came to SIMS to present on his family’s work and to demonstrate how parchment is made. Following the formal presentation he led a hands-on demonstration which included sheets of parchment made from several different animals, large and small. Hailing from 16th-century Germany, the Meyer family stems from a 500-year history of working in the tanning industry. 20 years ago, Jesse Meyer rediscovered the all but forgotten material, parchment, while experimenting with different uses and production methods for the animal skins used to make leather. After finding that this material was not only still useful for many applications, but also in demand by the conservation, restoration, binding, and calligraphic arts communities, he set about refining and expanding his parchment production, starting Pergamena in the process. Today, Pergamena produces many different types of parchment for dozens of niche industries that still utilize the versatile material. And while times and technology may have changed from when its early days, our parchment production methods remain largely similar, with much of the process still being done by hand with basic chemicals, simple but elegant tools, and a little mechanical ingenuity. Thank you to Stephen for coming to present and for agreeing to let us post recordings of his presentation and demonstration online! Categories: Manuscript Research, Parchment | Permalink. 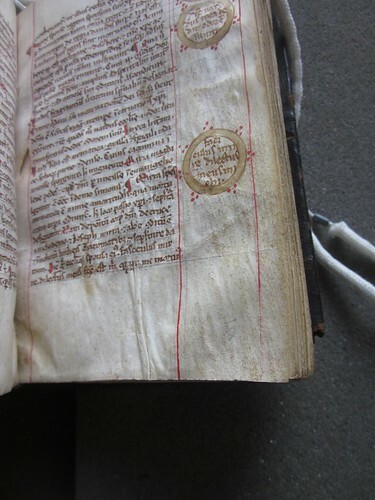 This week’s entry for the Penn Parchment Project is MS Codex 236, thought to be from France, and dated to ca. 1235-1240. It is a Vulgate Bible, including prologues by Jerome and the Prayer of Manasseh, and is illuminated throughout. To find out more about the manuscript and to view a full digital facsimile visit http://hdl.library.upenn.edu/1017/d/medren/1551791. The ms is about nine inches high. 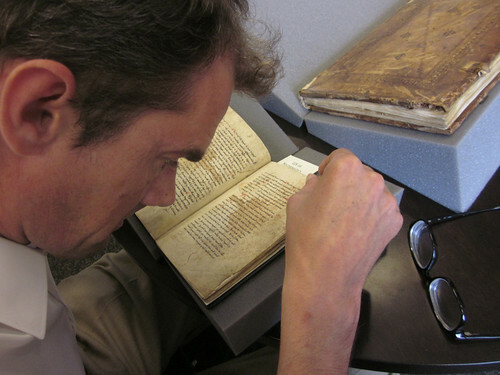 Categories: Parchment, Penn Parchment Project, Video | Permalink. The fourth entry for the Penn Parchment Project is LJS 204, an Italian manuscript dated from 1509. It is an introduction and compilation of astrological tables calculated for the Jewish calendar and the longitude and latitude of Tarascon, Provence, the home of the author, Immanuel ben Jacob Bonfils. 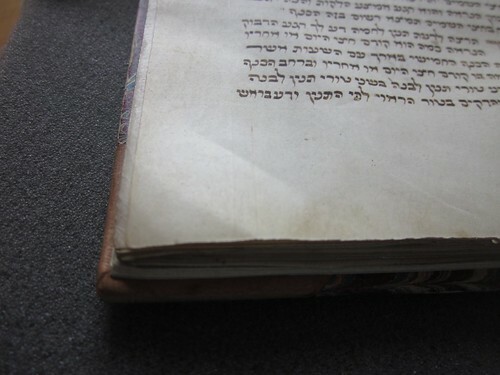 To find out more about the manuscript (although a full digitized version is not available) visit http://hdl.library.upenn.edu/1017/d/medren/5316112. 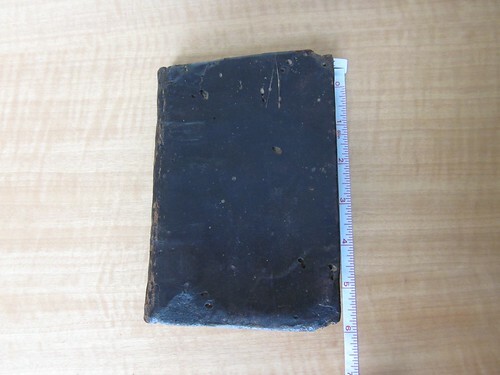 The ms is about seven inches high. 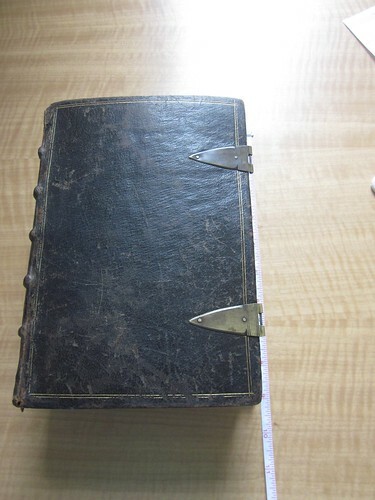 Categories: Medieval, Parchment, Penn Parchment Project | Tags: Italian, LJS204 | Permalink. Over the next several months, Penn will be sending dozens of samples to York for testing. 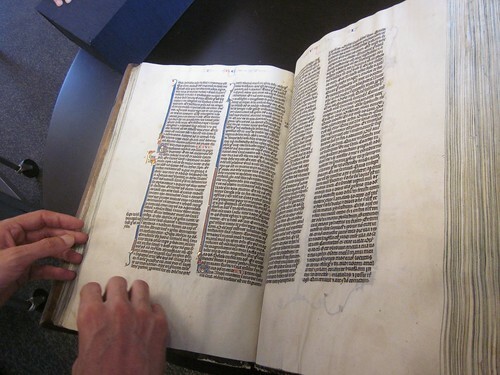 Will Noel, the director of SIMS and the Special Collections Center (and a world renowned expert in medieval manuscripts) will be guessing the source for a small selection of these samples, and we invite others interested in manuscripts, both professionals and students, to join in the game. 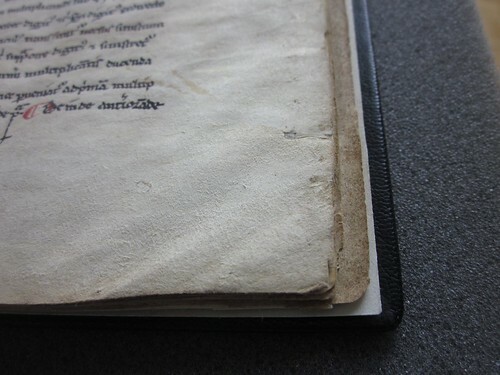 Every week, we’ll post a few photos and a short video of one manuscript, pointing out any features that might help determine the animal source of the parchment (differences between hair and flesh side, indications of the size of the sheets, suppleness). Post guesses in the comments area here on the blog. Let us know if you need more information – we can always post more photos if needed. The first entry for the Penn Parchment Project is LJS 26, an Italian manuscript dated from between 1225 and 1275. It is a mathematical treatise. To find out more about the manuscript, and to view a full digital facsimile, visit http://hdl.library.upenn.edu/1017/d/medren/4646348. A short video showing some notable folios in the manuscript. A close-up of a folio from LJS 26. This is the folio sampled for the project. Will Noel checking out the parchment in LJS 26. Will has made his guess. What’s yours? 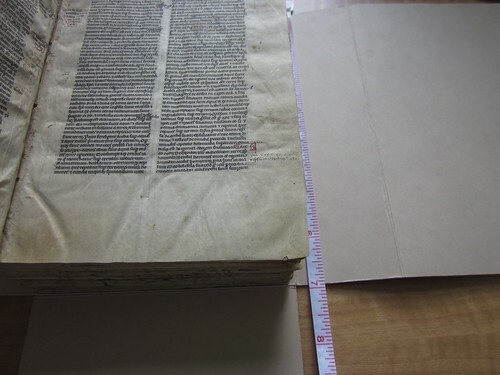 Categories: Medieval, Parchment, Penn Parchment Project | Tags: Italian, Mathematics | Permalink.